When you drive for a living, comfort equates to increased productivity and, therefore, money in your pocket. The HVAC system in your heavy-duty Mack® truck works hard to control temperature, keep you comfortable in the cab and handle tasks such as defrosting the windshield on a cold morning - getting you on the road faster. Your hard-working Mack truck was born with high performance HVAC components, built to withstand even the most extreme work environments. With proper preventive maintenance such as monitoring your receiver drier's moisture indicator and cleaning your condenser every 12 months, you can drive with confidence that your HVAC components will keep running strong. 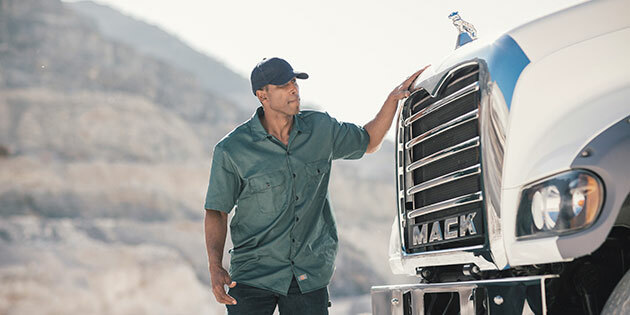 If you need to replace your HVAC components, you'll want parts that are engineered for dependability and peak performance, just like your Mack truck. For example, FLX7 compressors from Sanden® offer a pressure relief valve to guard against abnormal pressure conditions, a field coil diode to prevent electrical damage to the clutch and a heavy-duty clutch bearing to handle higher pressures and loads. To avoid unscheduled downtime, make an appointment for a complete HVAC system check with the service experts at your nearest Mack Trucks dealership. Ask your dealership's Mack parts experts about ordering high quality HVAC system components in bulk to stay repair ready. For convenience, quick delivery and regular specials, order high-demand parts and supplies online through SELECT Part Store™.